Search and Rescue Team members are constantly training for eventualities that we hope never happen. There are a number of areas where technical skills must be learned and constantly practised so that in the event of an emergency we are ready to carry out a rescue. 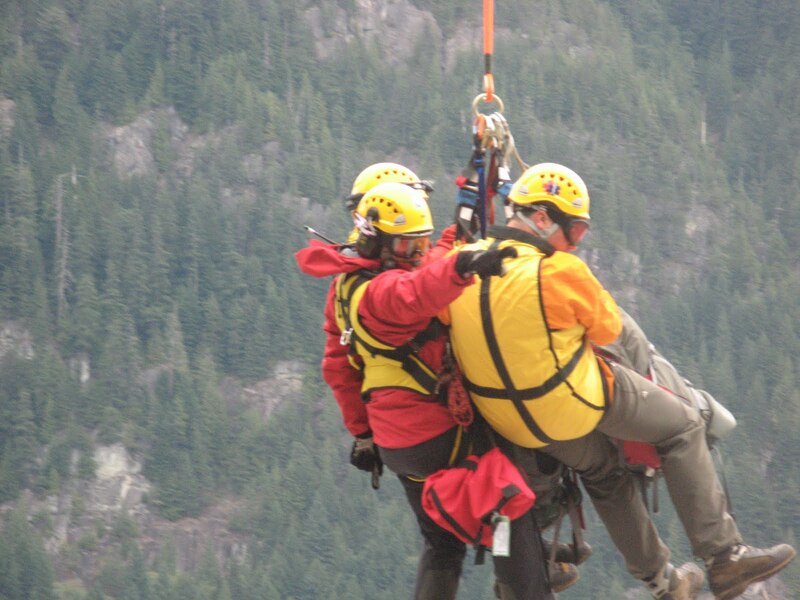 Most specific SAR training is developed and administered through the Emergency Management Division at the Justice Institute of BC, with other courses administered through private contractors who are experts in various specialized rescue techniques. 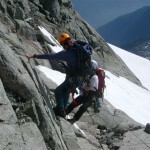 SAR members often take supplemental courses and other training to add to their skills. Advanced training in this area includes: ground search team leader (GSTL), and search management techniques. Since many of our searches are on inland water (rivers and lakes), our members must be familiar with boat operations and water safety. There are basic, advanced and instructor level courses on swift water (fast running rivers) rescue techniques. 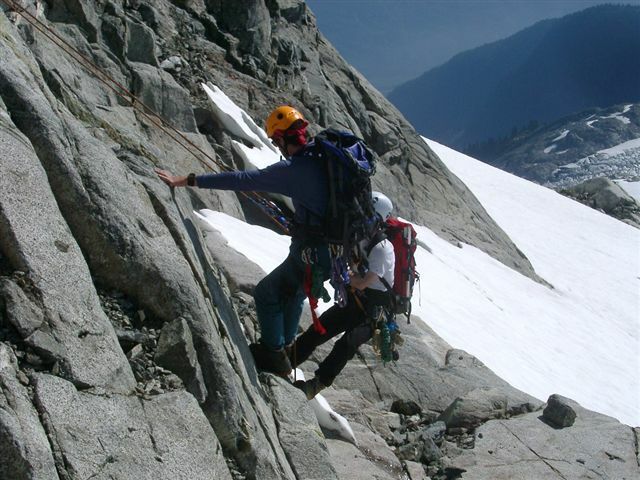 These courses concentrate on moving safely through avalanche terrain, performing a rescue using avalanche rescue tools such as transceivers and probes. Advanced courses train for avalanche prediction, snowpack analysis and other techniques. This extremely difficult set of skills is rare, and hard to maintain. Hours of course work and practice are require to achieve certification. Currently, three courses of 20 hours each are required to reach “Track Aware” status. Constant practise and use of these skills can take a member to “Tracker 1”, “Tracker 2” and finally to “Sign Cutter” status. All Coquitlam SAR volunteers have first aid/CPR training. Ground Search and Rescue volunteers are required to have at least 8 hours of first aid training by EMBC, but our volunteers take approximately 30 hours of first aid, CPR and SAR specific medical training. Many members of the team have higher levels of first aid and medical care. Within the team there are Occupational First Aid Attendants, Medical First Responders, Paramedics and Medical Doctors. After initial standard first aid and CPR courses, team members attend training sessions on hypothermia, spinal injury management, patient packaging, medical conditions and fracture management. These sessions are delivered by team medical personnel or guest speakers. 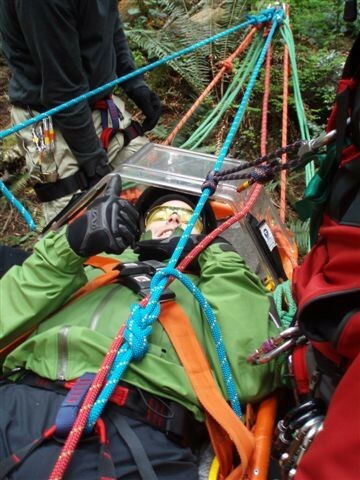 Coquitlam SAR has developed treatment plans for hypothermia, cardiac arrest and various other medical/trauma situations that may present themselves during a SAR operation. During the evacuation of an injured subject, our team works closely with the BC Ambulance Service to provide the best possible patient care. Coquitlam SAR uses helicopters when necessary to transport team members, equipment and subjects to and from the field when the time needed to walk or use other methods of transportation are longer than an hour. In the Coast Mountains of British Columbia, the use of helicopters is hampered by the forest cover, and the height of the trees. We have several techniques for using helicopters in this terrain. This technique involves entering or leaving a helicopter while it is hovering a few feet off the ground. Due to the nature of wilderness landing zones, the ground is not always level and sometimes the machine must hover while the team members get in or out.This technique is also used to load and unload subjects, either in stretchers or not. All members on the team do this course, and refresh every 2 years. HETS (Helicopter External Transport System) is commonly referred to as “Long Line” or “long Line Rescue”. 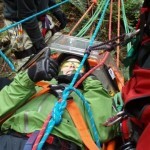 This rescue technique involves a SAR member being hooked up to a line that is attached to the bottom of a helicopter. When the helicopter takes off, the rescuer is lifted off the ground. The helicopter pilot can then take the rescuer to the scene, and lower him or her through the trees to the ground. By using this technique, SAR members, equipment or subjects can be transported to locations that are not usually accessible via helicopter. 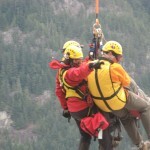 There are currently twelve Coquitlam SAR members who are certified for long line rescue. Other teams in the Lower Mainland who have HETS are North Shore Rescue capability are Chilliwack SAR, Whistler SAR and Squamish SAR.